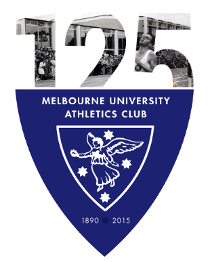 Three Melbourne University Athletics Club members won medals at the 89th Australian Athletics Championships, the final event to be held at Olympic Park, from Friday 15th to Sunday 17th of April. Linda Allen claimed a silver medal on Saturday in the Triple Jump with a performance of 12.99m. Kathryn Mitchell (MUAC and Eureka Athletics Club) won a silver medal on the same day in the Javelin with a throw of 57.72m. Cath Macrae took home a bronze medal in the Pole Vault, clearing 3.70m. 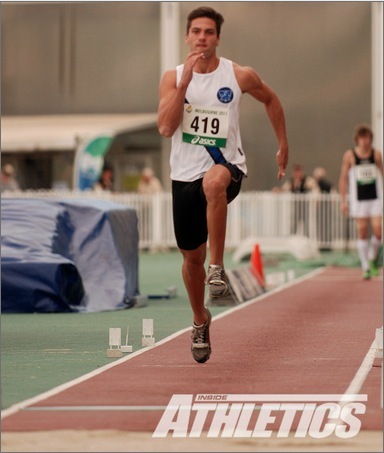 In other performances, MUAC president Stephen Edwards’ 14.14m Triple Jump performance gave him 9th place. MUAC Winter Manager Kate Scarlett ran 11:54 in the 3000m Steeplechase to record a significant personal best in her first run under 12 minutes. Mitch Mackenzie jumped 1.95m in the High Jump and came close to a 2.00m personal best, clipping the bar with his heels on the first attempt. Hannah Alderton jumped 1.70m in the High Jump final. Jarrod Pageot, on the way back from injury, jumped 6.63m in the heats of the Long Jump. Kath Iannello cleared 3.30m in the Pole Vault. Harry Smithers (MUAC and Old Melburnians Athletic Club) ran a substantial personal best in the heats of the 1500m, stopping the clock in 3:54.24. After a poignant farewell to Olympic Park, the historic home of Athletics in Victoria, the sport now moves to the new State Athletic Centre at Albert Park. In other news, MUAC member Nic Browne raced the Boston Marathon on Monday, 18th April. In a historic race in which the winner ran the fastest marathon ever seen, 2:03:02, Nic came 91st in a time of 2:29:47.